Despite the fact that Erika was not a professional singer, she did manage to attract a lot of attention and reach the people’s heart. Nonetheless, everyone assumed that this was the first and final single of Erika for various reasons. First of all, this single was released due to her acting career and was listed under “Kaoru Amane” rather than under her real name. Furthermore Erika is primarily an actress and a model and thus her schedule is always quite busy. Erika also is not gifted with any particularly spectacular musical talents so most assumed that this single would just be a once in a lifetime extension of her acting career. However, after seeing the success of Erika, Sony probably decided that Erika had too much selling potential to let her go like that. Throughout the years of acting and modeling, Erika had gained a considerably large fanbase and was rather famous. Furthermore Erika already had the confidence required to perform on stage and interact on variety shows, which would be a definite plus. Thus Erika signed a contract and started vocal training. The transformation took a while and her true debut took place in the beginning of July. Sawajiri would choose the artist name “ERIKA” to represent her singing career. Sony went through great lengths to promote her debut well. Erika would have a brand new official website designed for her, along with ringtones available for Japanese residents. Erika would travel to France for the shooting of the single’s artwork. The specific location is at Mount St. Michael, where the landscape is absolutely ethereal and panoramic. Thus it is no surprise that the artwork is absolutely stunning, especially combined with Erika’s beauty. Furthermore, Erika’s new guitar was custom made by Fender and only one of its’ kind exists in the world. It is noted to be a Telecaster, with the surface bearing a design she created. Several websites, such as Yahoo! would feature Erika and provide extra material for fans. MTV Japan scheduled a special program in early July, where the singer ERIKA made a guest appearance and Sawajiri Erika was the host. This created some confusion within her fans. Supposedly this was done to separate the persona of “actress” from “musician”. However both host and guest are ultimately the same person. A photoshoot was released on MTV’s official site and the magazine BARFOUT also had both personalities on the cover. This single is available in two formats: a regular edition and a limited CD+DVD edition. The limited edition is running out quite fast, and selling at high prices on auctions. Included in this edition is a promotional video of “FREE” and a 12 page booklet. A promotional video of “Fantasy” was also filmed, but oddly enough it is not available in this single. This single managed to hit #1 on the Oricon Charts and sold 50,287 copies in the first week. Furthermore Erika is the second artist in Oricon’s history to have the first 2 singles rank at #1 on the charts. The only one accomplish the same goal, was Hiroko Yakushimaru in 1983, who also happens to play Erika’s mother in 1 Litre of Tears. 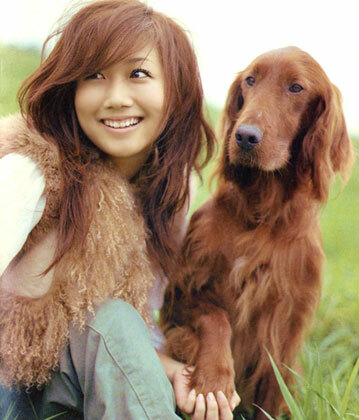 “FREE” is a captivating song, which is reminiscent of her “Taiyou no Uta” style. However Erika would shift towards a more mature and edgier image in this song. The rock elements are stronger and more evident. The result is a rather catchy pop-rock song. Erika’s vocals meld quite well with the instrumentals, giving a rather emotional performance. When taking into consideration that this is her second time at attempting to release music, I was rather impressed to note that there was a lot of improvement. The song “FREE” was used for the commercial promoting Subaru’s Stella. The lyrics speak about freedom and love connected together. Her strength obtained from her love is enough to able to become a more independent person. At the same time she has still the scars of her past, which keep her from returning to what she was before. Thus she moves forward with the hopes that she will reunite with her lover. I really loved how the conflict of the emotions of wanting to return to the past and moving on were displayed so well within the lyrics. The promotional video is interestingly experimental. A lot of champagne is seen blasting through the screen, which I admit was quite weird and out of place. Otheriwse the setting was rather tropical and dark: fitting perfectly with everything else. A rock band was shown in the background but disappointingly enough, Erika only used her guitar to swing it around. I’m imagining that Erika still has a lot to learn when one takes guitar playing into account. In any way, Erika is featured in several gorgeous outfits and with dark make up. She looked absolutely stunning, reflecting an exotic beauty. Erika was also seen carrying a white cockatiel, which probably reflected her desire to fly and be free. I really enjoyed it, though I would have preferred to see some scenes from France. “FANTASY” has surprised a lot of Erika fans because it sounded so different from anything that Erika had released. The song has an electronica-trance feel, though sorting “FANTASY” in a single genre wouldn’t be a good idea. The ethereal elements and Erika’s vocoded vocals have really given this song an unearthly feel to this song. Which is the kind of genre I’m crazy over. I suppose this song isn’t exactly for everyone but it’s a very creative attempt by Erika. “FANTASY” was used as the song in the commercial promoting music.jp. The promotional video is rather neat. The whole technological and fantasy theme is expanded rather well and fits the song perfectly. Basically there are the vintage and simplistic scenes, which reflect nature and the fantasy fairy tales. The child probably depicts the innocent view of the world and her wide imagination. Erika on the hand, probably thinks of fantasy on more technological and realistic aspect. A lot of little details are included, which really helped to create an excellent video. “Time to go home” is another song which moves towards rock. I felt that this song was much stronger on the whole than “FREE”. The heavy use of instruments reminds me a lot of grunge rock and old school rock. It was a very interesting thing to observe Erika’s clear voice contrasting the stronger atmosphere created by the instruments. However what really impressed me was the chorus. It’s very powerful and unleashes any emotion built up by the song. This single is fairly satisfactory for a debut single. I must say that I really enjoyed the whole concept of this single because it was clear that Sony has worked hard in the packaging of this single. I have to admit that I am a sucker when it comes to fantasy themes and spectacular landscapes so this single was a definite favorite for me. There is a definite improvement from Erika’s part, who has defined certain images to fit this single’s concept quite well and her vocals have showed a leap forward. If this improvement is consistent, I am quite sure that her first album will be something to look forward to. Great recommendations, thanks! :) I actually liked both the songs featured here, but was surprised that they actually put two different genres onto the same single… anyway, I’m a sucker for electronic music and rock etc. so this has definitely ticked both boxes! Of course I don’t mind ^^ I take it as a compliment and thank you for your nice words! This is a really great review…it was because I came across your reviews of Erika’s Taiyou no Uta and FREE that I actually started listening to her music, otherwise I would’ve skipped it altogether because I didn’t really believe in her music before that. I thought she was just a great actress who tried the music industry…but looks like I was wrong haha. I reckon she belongs there too! Also, I hope you don’t mind me linking to both of your reviews for Erika. I made a thread for her in the forum because nobody else did T_T so I marked out links for both of these reviews. Anyway, keep up the great work! I can`t believe that the the girl of the cover of the CD issued at July is Erika. Oh, my god! Thank you for the informative read! It seems like Erika made a splendid debut under her own name, which left me quite impressed. I think it’s awesome that Fender customized a guitar just for her; it’ll be like her trademark, no? To me “FREE” felt in the same style as “Taiyou no Uta”, but something about the songs gave me the impression of a very Western-pop feel. I think it’s her voice and the overall sound that makes me think this. At any rate I believe this single really proved her hard work and talent to be in the music industry. Thanks for writing such an awesome review, Rinoa. There are always so much information that you include in your review, which makes the reading extremely rewarding and fun. “FREE” is a nice song, but I personally prefer “Taiyou no Uta” over it. :p The PV is very interesting and show a more realistic side of Sawajiri Erika IMO. I’ve seen her in some TV shows and her makeup and wearing are very stylish, kinda resemble the way she wears in “FREE” PV, compared to say “Taiyou no Uta” or her innocent image in “1 Litre of Tears”. “Fantasy” has a non-mainstream feel, I love how the way it sounds, very different from what you hear from typical J-Pop releases. I can see a remix of this song coming in her future releases. Also, I find her looking kinda like Ayu in some of the scenes in the PV. Overall a very strong debut single despite Erika’s rather weak vocal. I bet they have this planning for a long time already. Just like you, I’m looking forward for her future releases! I actually plan to buy her first press before it runs out, it’s still available on YesAsia. It’s time to stop lurking on this blog and actually comment on something, I’ve decided. Awesome review, as always, Rinoa! This is a really great debut single and I plan on keeping an eye on ERIKA. I like both songs, they’re really catchy and fun. Oh, and about the champagne in the Free PV, it made me think of New Year’s. Champagne=New Year= New Start? It might just be me, since I always want to find a reason for something. My literature teachers have ingrained the “if a gun is put over the fire, it must go off by the end of the story” thing into my mind. Okay, I’m done babbling. Thank you for the review, it’s an excellent addition to Ch-Ai blog. u kno, i’ve always thought she was the same erika that played kame’s girlfriend in nobuta wo produce. but it turns out shes another girl! The champagne reminds me of… er… I think it reminds many people of that too. But I like the music video. Her make up and hair rox! Erika Free is pretty popular and welcome among erika chinese fans.